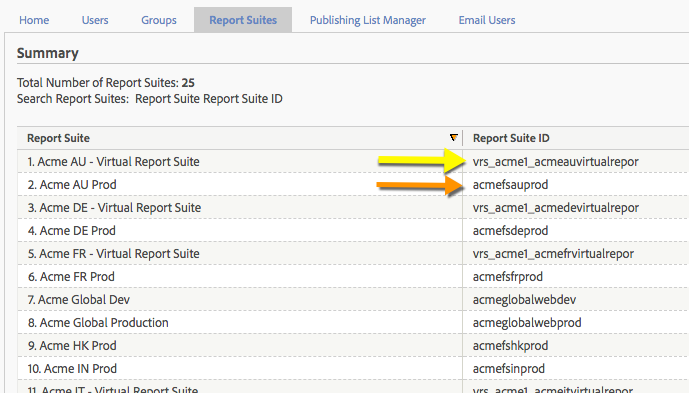 There you will see a list of all your report suites including the VRSs. The VRSs start with “vrs_<company name>” and then are followed by a number and something similar to the initial name you gave your VRS (yellow arrow). 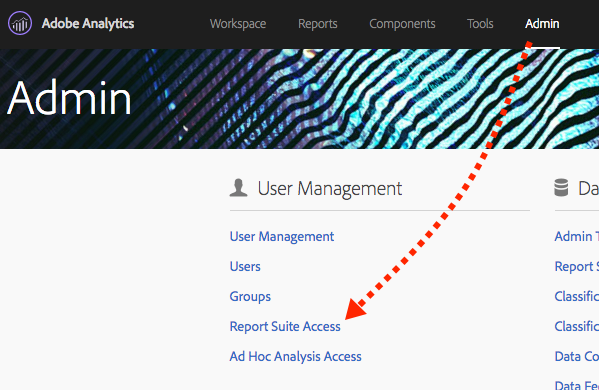 Note that your normal report suites are in the list as well (orange arrow). Now use that value to replace the RSID that you once used in your Report Builder report. Keep in mind, though, that this list is an admin feature so you may also want to make a copy of this list that you share with your non-admin users…or withhold it until they do your bidding. Up to you.